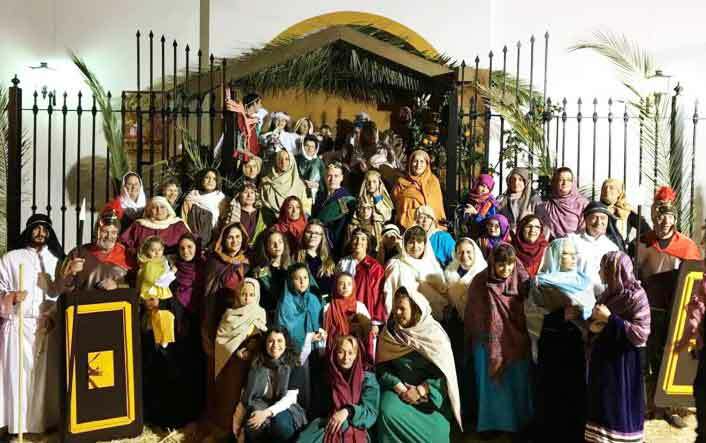 Belén Viviente or Living Nativity Events in the Axarquia for Christmas 2018. 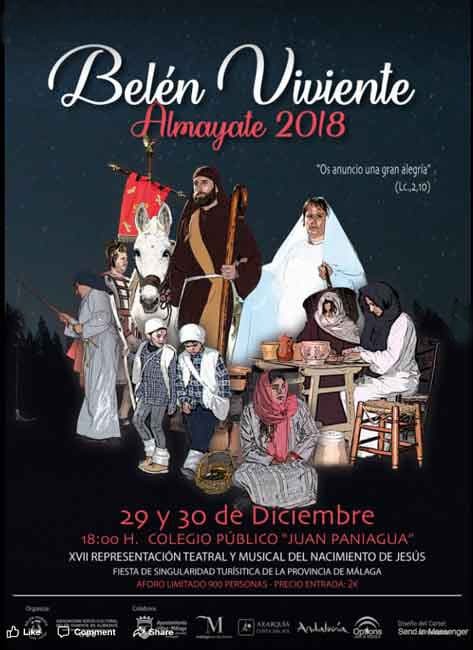 The Belén has always been a traditional part of Christmas in the Axarquia but if you want to really get into the spirit of the nativity then try and visit one of the ‘Belén Viviente’ events or living Nativity plays or parades that are taking place in the east of Malaga region. 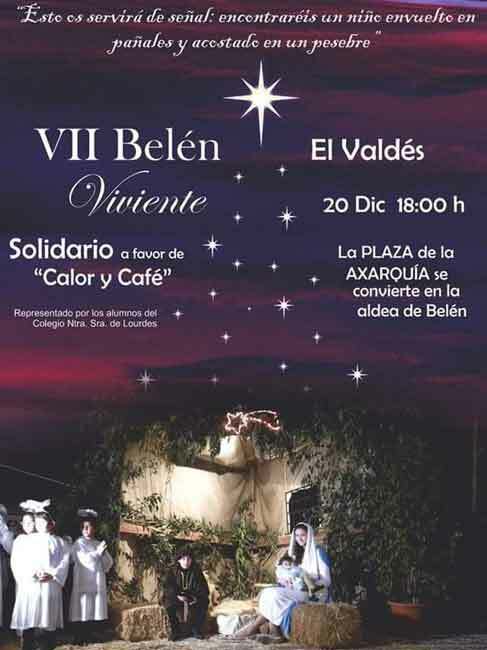 The ‘living nativity’ play is becoming a growing trend in the Axarquia whether a full scale theatrical production in the open air (see photo of Almayate’s Belén Viviente photo above) or a lower key parade through the village streets. 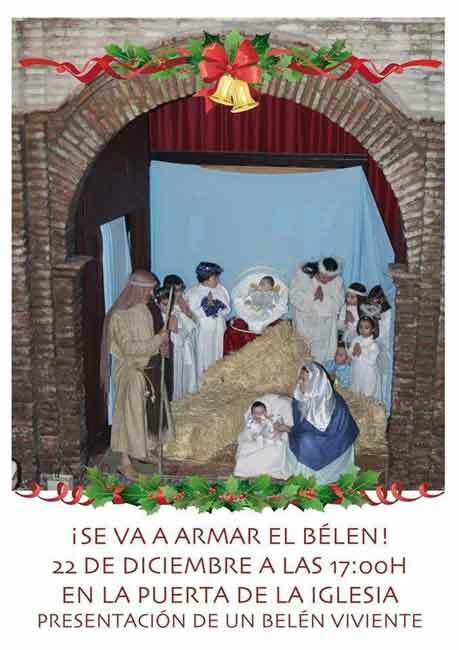 Unlike some of the other Belen Viviente this one is presented as a parade through the streets of Canillas de Albaida. The Virgin Mary, Joseph and the baby Jesus search for an inn through the town centre, accompanied by a traditional music group. The characters are dressed in traditional costume, usually accompanied by a donkey, with a prize given for the best costume. 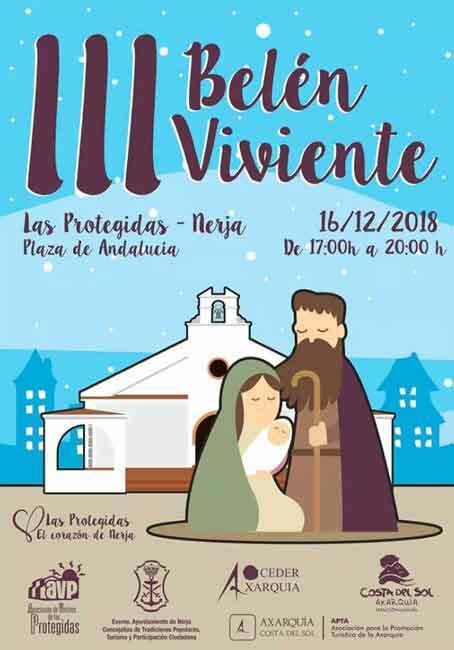 The town of Nerja performs a theatrical representation of the Birth of the Child Jesus, organised and performed by the Asociación de vecinos de la Barriada de las Protegidas. 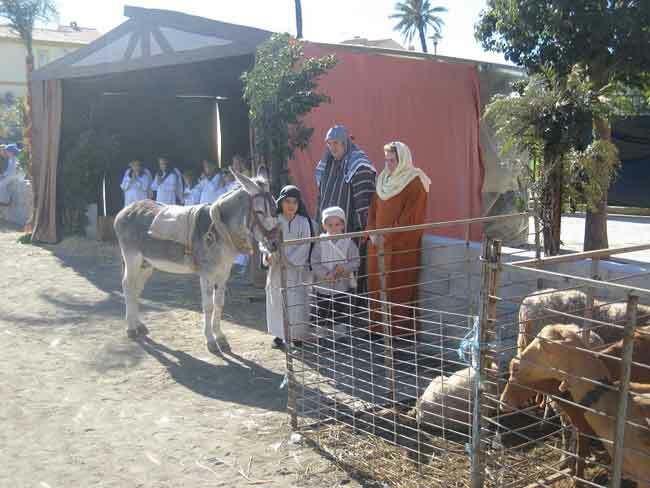 A living nativity scene is presented by the students and teachers of the school ‘Nuestra Señora de Lourdes’, performed on the Plaza de la Axarquía in Moclinejo. On the Plaza del Ayuntamiento at 7:00 pm. All are invited. Climb a mountain to the highest Belen Viviente! 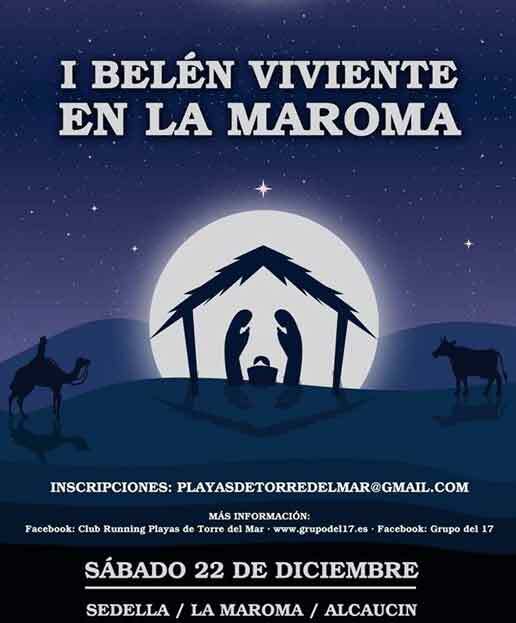 The highest Belen in Málaga – this Living Nativity is certainly not for the faint hearted! 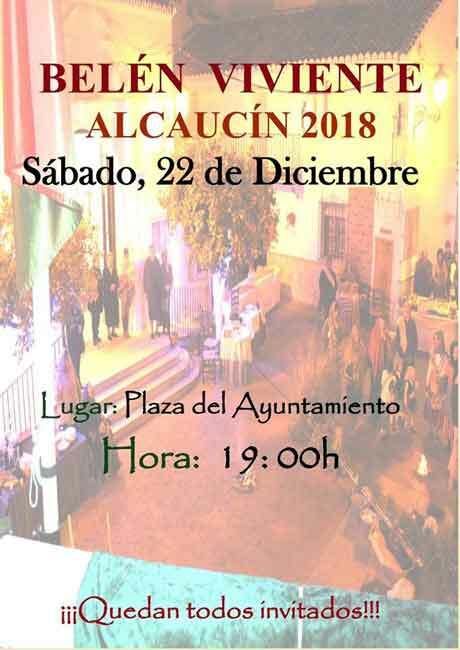 The El Club Running Playas de Torre del Mar y el Grupo del 17 in collaboration with the Axarquia and local town hall have organised an ascent to La Maroma on Saturday 22nd December. 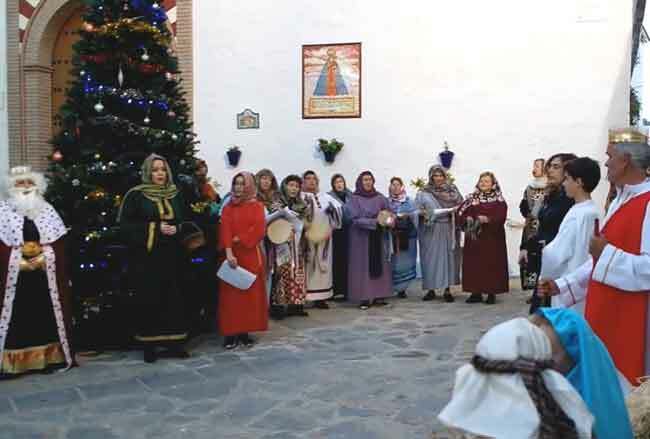 Once they have reached the top they will perform a Living Nativity – the highest in the province of Málaga! Participants will carry their costumes and materials for the Nativity in their backpacks. 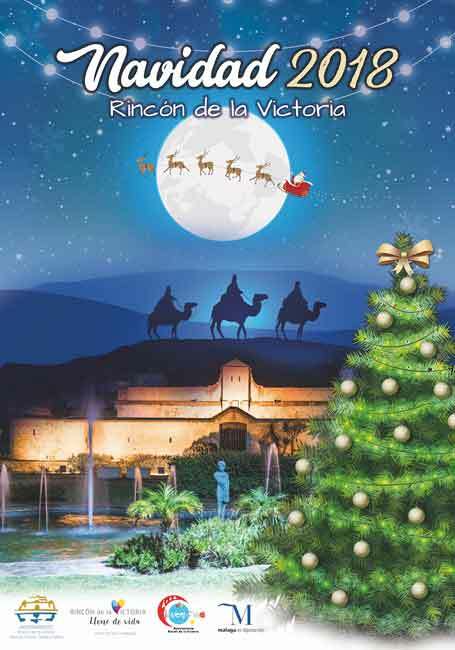 After the nativity scene they will sing carols and eat traditional Andalucian Christmas sweets and enjoy a hot chocolate. The event hopes to promote outdoor sports and hiking in the area. The hike will cover 16 kilometres and take around 8 hours and is of high difficulty. Further contact details on poster above. One of the most largest and most important Belén Viviente events is the large open air theatrical presentation in the village of Almayate! More than 150 people take part, dressed in period costumes, acting in a massive open air style ‘theatre’ with decorative scenes, and special lighting and sound effects. 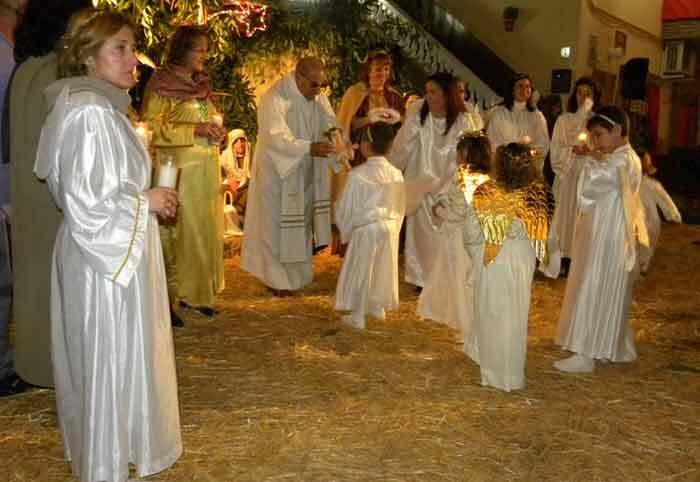 The event usually takes over two hours where 12 scenes from the Annunciation of the Archangel Gabriel through to the flight to Egypt of Mary, Joseph and the baby Jesus. There are usually two performances one on Saturday and one on Sunday in the grounds of the Juan Paniagua School. Regional dishes and delicacies are prepared to enjoy after the show. Limited capacity of 900 persons Entrance price is 2 euros. Read more on the Belén Viviente or other events in Almayate.